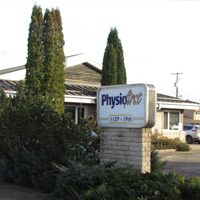 Doug is a practicing partner in Physiofirst, Physiofirst Virden, and Yellowhead Physiotherapy & Athletic Centre. A University of Manitoba graduate, Doug is especially interested in Industrial Rehabilitation with a focus on Functional Capacity Evaluations and Work-Hardening and Conditioning Programs. as well as in the assessment and treatment of hand and upper-extremity injuries with ongoing post-graduate training. He has worked with a number of elite sports teams, including the Neepawa Natives of the Manitoba Junior Hockey League, and has provided on-field medical services for Premier Soccer clubs. 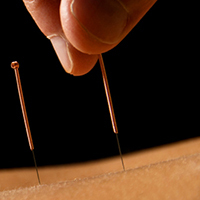 Doug has obtained post-graduate education in acupuncture and is certified through the Acupuncture Foundation of Canada. Doug is trained in the McKenzie approach to spine assessment and rehabilitation. He is certified through the Work Well System (Isernhagen) Functional Capacity Evaluation, Pre-Employment Screening and Work-Site Evaluation certification. Doug continues to be involved in professional associations at various levels. He currently sits as the community representative on the Brandon University Animal Care Committee. He is Past-President of the Manitoba Physiotherapy Asoociation and Past-President of the Canadian Physiotherapy Association. He is also an active member of the sailing community. Kyle is a graduate of the University of Manitoba with a Bachelors Degree in Medical Rehabilitation in 2005. He joined PhysioFirst/Yellowhead Physiotherapy & Athletic Centre team shortly after graduation. 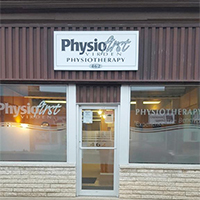 Since joining PhysioFirst/Yellowhead Physiotherapy & Athletic Centre, he has completed post graduate courses in Acupuncture, Jaw rehabilitation and facial pain as well as traveling internationally to train in Vestibular/Balance rehabilitation. He enjoys all aspects of physiotherapy, with special interest in Vestibular/Balance rehabilitation as well as Sports Therapy with a focus on working with football athletes. Kyle is also trained in the McKenzie approach to spine assessment and rehabilitation. He is dedicated to the advancement of his skill sets through ongoing continuing education. 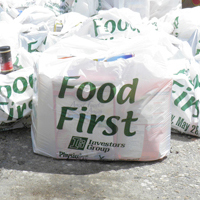 His commitment to the community is evident in his organization of blood donor clinics on behalf of Yellowhead Physiotherapy and Athletic Center in partnership with the Canadian Blood Donor Services along with countless hours of volunteering for the FoodFirst food drive held annually by PhysioFirst. He has future plans to attend additional post graduate courses in order to broaden his physiotherapy expertise. Susan is a graduate of the University of Manitoba with a Bachelors Degree in Medical Rehabilitation in 2010. She previously completed her Bachelor of Science at Brandon University. She is also certified in STOTT Pilates instruction. 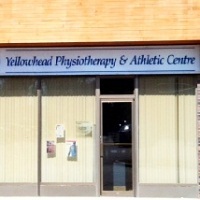 Susan is excited to return to her home community to practice at Yellowhead Physiotherapy & Athletic Centre. Susan enjoys playing soccer for Neepawa United Women’s Soccer team and long distance running. Melissa studied at Brandon University where she completed her Bachelor’s of Science with a Major in Biology and a Minor in Psychology. She then studied at the University of Manitoba where she obtained her Master’s of Physical Therapy degree in 2014. She has completed a Rock Tape course as well as an Acupuncture course. Melissa is keen on pursuing manual therapy courses in the orthopedic field and is a member of the orthopedic, acupuncture, and animal rehab divisions of the Canadian Physiotherapy Association. Sarah’s education and skills have easily lead her to this position at PhysioFirst. She received her High School diploma from Elton Collegiate with a focus in University entrance courses and with a science base. She has drawn on work experience to continue to gain skills and communication through the several organizations that she has worked together with. She has experience in handling acute care clients as well as seniors and comes with a strong background in the knowledge of Physiotherapy, sports injury and prior experience in the physiotherapy practice. These employment skills have allowed her to run organizations smoothly, has given her experience in numerous software packages, dealing with customer service and a good understanding of clients problems and concerns. Most recently Sarah has completed Quickbook’s 1 and 2 as well as Payroll & Taxable Benefits. Sarah lives out in the country with her husband and daughter. Her volunteer work has included assisting physically and mentally challenged children, charity events, coaching and sporting related community games has resulted from a strong personal enjoyment in both sports and music. She has also been a part of the theatrical community and enjoys playing competitive volleyball and baseball. Originally from the small community of Rossburn, Manitoba, Kelly moved to Brandon, after completing high school, to attend Brandon University where she obtained her Bachelor of Arts Degree, with a major in Sociology and a minor in Psychology. Her experience in the workforce as a retail Supervisor and Librarian Assistant has strengthened her interpersonal, organizational, and public service skills. She has gained strong medical experience working as a Respite Worker in the Palliative Care Program as well as working with individuals with physical and cognitive disabilities. She has excelled in her academics through out her education and has received certificates for her involvement as a volunteer in both school and community events. Mavis was raised in Neepawa and has been married to Kelly for 29 years. They have 2 grown children that live in Alberta. Kelly and Mavis live on a farm with cattle and horses. Mavis likes to live a healthy and active life and always like a challenge and to keep learning.